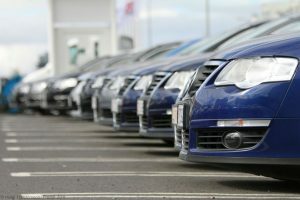 If you’re in the market for a new car, there are some things you should never say to a car salesperson. Unless you want to get more than you bargained for, knowing what to say and what not to say can give you an advantage when negotiating with a car dealer. Keep in mind that he’s used to making deals more than you do, and he’s trained to rake in as much profit as possible. So even if you come across the most honest car salesman, your intention to get the best deal will clash with his own interests. So, before you set foot on the dealer’s lot, it’s a good idea to be prepared. After looking at a couple of cars and test-driving them, you’ll eventually end up negotiating the bottom-line. And once you do, here are the things you should never say to a car salesperson at all costs. If you openly admit to how much you are crazy about the vehicle, the car dealer can easily take advantage of this knowledge. Even if you really do love the car, don’t show your emotions. Play it cool. Let the car salesperson know that if you don’t get a good price, you’ll be happy to walk away and take your business someplace else. A good car salesperson is knowledgeable in whatever vehicle they’re trying to sell, and this puts them at a distinct advantage. So, if you acknowledge that you don’t know much about cars, you’re telling the car salesperson what he wants to hear the most. Luckily, you can go online and do your homework before you even set foot on the dealership. So, you won’t be duped into getting an overpriced vehicle with features you don’t really need. Another thing you should avoid disclosing is that you’re in desperate need for a new car. This is just as worse as falling in love with a vehicle in the lot. If the car salesperson senses your desperation, it signals them that you won’t be thinking about your purchase and making sound decisions. The salesperson may try to sell you a car that’s not selling very well or not give you a reasonable price because you’re desperate. If you intend to tell this to the car salesperson, don’t expect him to not take advantage of you. He can use this fact and pressure you into buying stuff you don’t need because you’re a newbie and don’t know any better. Regardless of how good or bad your credit history is, you should never let this important piece of information slip out. Letting the car salesperson know you have a less than stellar credit rating will quickly put you in a psychological disadvantage. The car dealer will immediately assume that you’ll be willing to accept a higher interest rate because you have poor credit. Whenever you negotiate with a car salesperson, it pays to be aware of knowing the right things to say and what you should never reveal. Buying a new vehicle is a large investment so don’t let your emotions get the best of you and be willing to walk out of the lot if you don’t get a fair price.